Recognizing the exact circumstances which can be influencing the effectiveness and convenience of your house is important to improve the overall effects of energy-focused home developments. Home energy audits in Aurora, CO utilize a full house process of evaluating how distinct upgrades can work together to deliver the optimum level of comfort and power savings to your home. During your home energy audit, a professional home energy auditor will analyze your property for potential upgrades which can be made that ended up being disregarded when you had your home inspection. 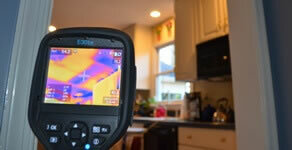 Call now and let a professional home energy auditor in Aurora, CO help you!